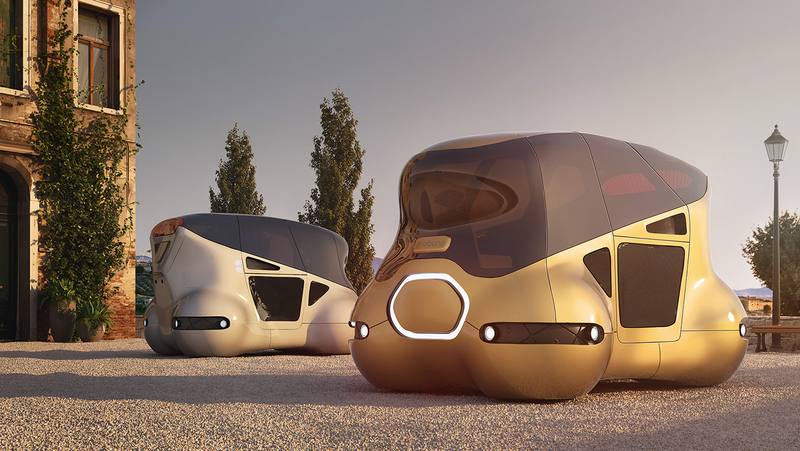 Mobuno is a design study done by xoio and IUM ( Institute of Urban Mobility), which is showing an attractive yet fully realistic concept of mobility represented by a friendly car-concept. 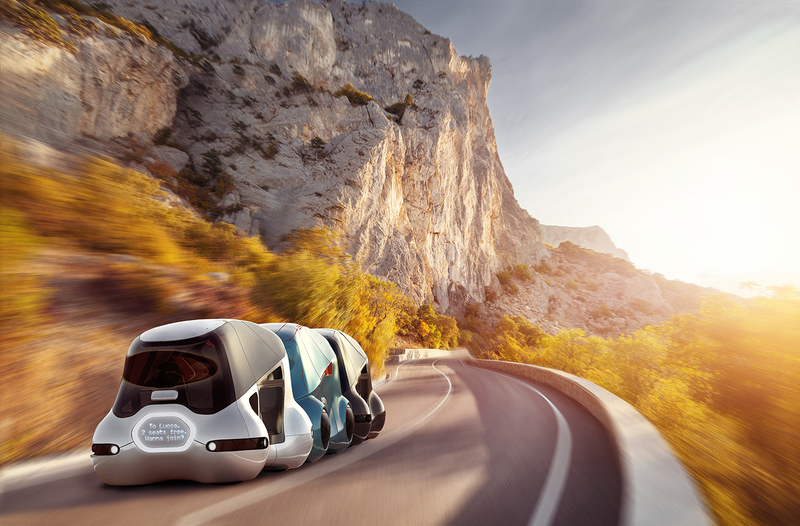 The goal was to merge the benefits of current means of transportation into one. Based on the current convention to be mobile privately Mobuno can easily be booked just like any regular taxi for private use. In connection with mobile communication devices that are currently used all communication with the network can be done as usual. The current design allows up to 4 persons to use a mobuno unit simultaneously. 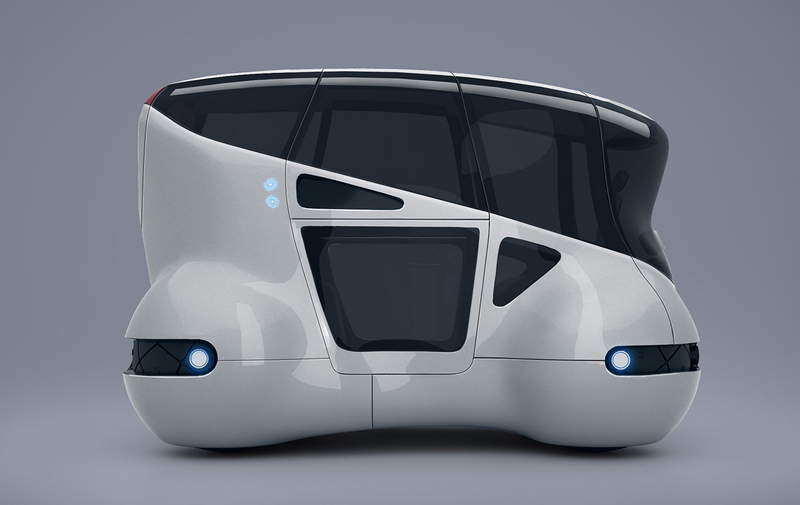 If I don’t mind sharing my ride with other people, I can easily switch to shared mode and the Mobuno unit will act more like a bus smartly reacting to requests from other users. Obviously users consequently will benefit from lower costs. But how about going with several friends to the countryside? Or how about taking a bunch of kids to the public bath? No problem with Mobuno. Just book how many people will be going along and the smart network will provide as many units as required. 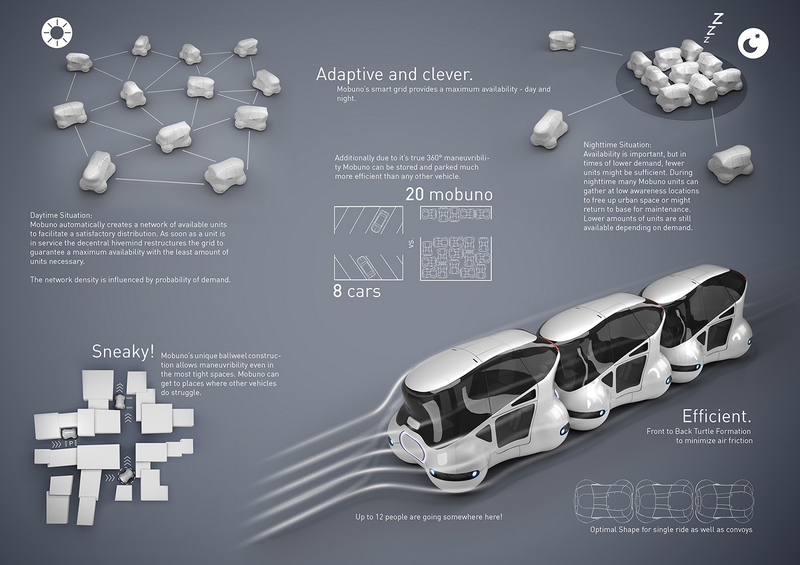 Even better: Smart platooning will further increase effectiveness by teaming up the units in a energy efficient queue. This is when Mobuno takes the best of trains and busses. 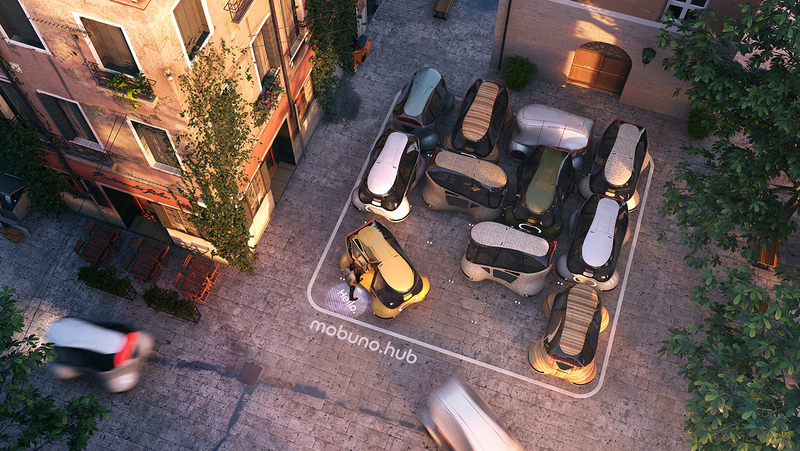 It is selfunderstood that Mobuno does not require any special form of streets – it simply integrates into current street standards. Obviously Mobuno can also provide for your logistic needs and provide sturdy working horses in addition to your personal carriers. The image above shows an unit that is provided by a private logistics provider. That said Mobunos can be privately owned for people who still appreciate / need to have a unit of their own. But the real strengths of the idea come to fruition in the shared version, that is publicly available. Imagine all troubles like maintenance, cleaning, parking are problems of the past. The unit decides smartly when it needs to be fueled, cleaned or maintained and automatically looks for the closest service point. The same awareness allows Mobuno to learn patterns of request and smartly distribute units where they are probably needed most. Imagine a new nightclub is opening in a certain location, which is frequented a lot and closes at a certain hour. Mobuno units will adapt to the new requirements and start providing units at certain times. 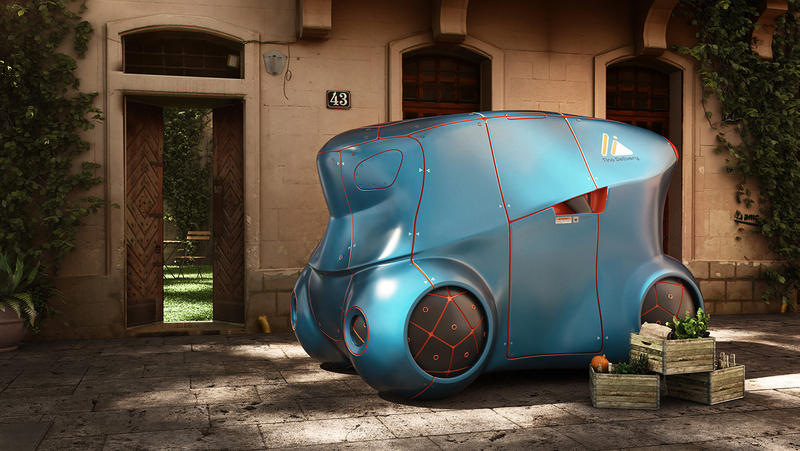 Autonomous Driving enables us to make much better use of parking areas. Mobuno units can squeeze tightly together and will rearrange smoothly as soon as a certain unit is required. Since the units communicate with each other this is easy and human access is only required as soon as they leave the storage area. Additionally these spaces have very minimal requirements concerning light or other human factors. 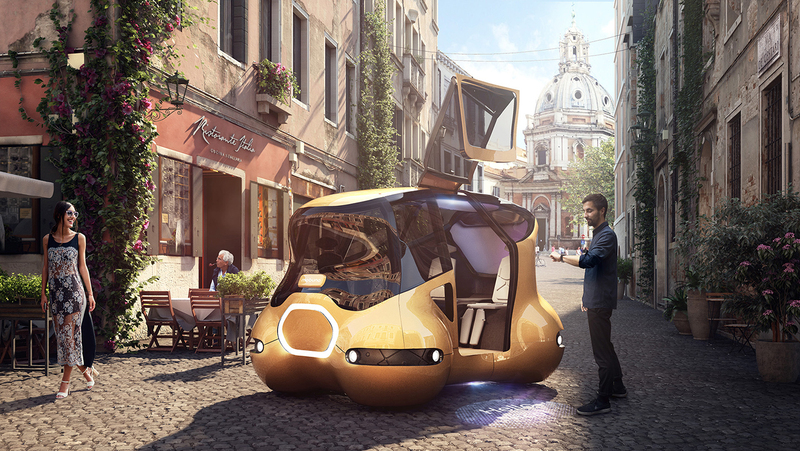 The “Institute of Urban Mobility“, led by our partner Dr. Ing. Tim Lehmann has come to the result that Mobuno would require less than 5 percent of the current amount of vehicles to provide the same degree of mobility. Just imagine how spacious or cities would feel.